Henry Holt and Co., 9780805098747, 304pp. David and Caroline Connolly are swimming successfully through their marriage’s middle years—raising two children; overseeing care for David’s ailing mother; leaning into their careers, both at David’s university teaching job, where he’s up for an important promotion, and at the ad agency where Caroline has recently returned to work after years away while the children were little. The recent stresses of home renovation and of a brief romantic betrayal (Caroline’s) are behind them. The Connollys know and care for each other deeply. Then one early fall afternoon, a student of sublime, waiflike beauty appears in David’s university office and says, “I think you might be my father.” And the fact of a youthful passion that David had tried to forget comes rushing back. In the person of this intriguing young woman, the Connollys may have a chance to expand who they are and how much they can love, or they may be making themselves vulnerable to menace. They face either an opportunity or a threat—but which is which? What happens when their hard-won family happiness meets a hard-luck beautiful girl? 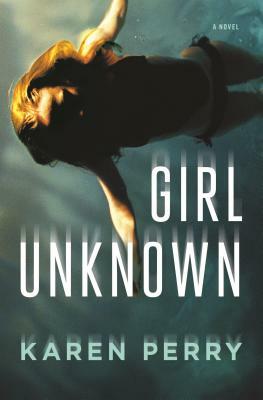 Karen Perry is the pen name of Dublin-based authors Paul Perry and Karen Gillece. Together they wrote Girl Unknown. Award for New Irish Writing, he teaches creative writing at University College, Dublin. Karen Gillece is the author of several critically acclaimed novels. In 2009 she won the European Union Prize for Literature (Ireland). —Entertainment Weekly, "Winter's Chilliest New Thrillers"
—Jessica Treadway, author of Lacy Eye and How Will I Know You? "A convincing glimpse into the fragility of family life and the terrible burden that the past can put on domestic life."